From industrial process controllers to home entertainment devices, it is increasingly rare for an electronics product to be completely standalone, with no ability to communicate with other devices or the wider world. From low cost micro PLCs to richly featured touch screen PLCs with integrated HMI by Unitronics, every PLC supplied by Tecnologic incorporates a range of comms facilities helping to integrate the process controller with wider applications, as well as enhancing usability and usefulness. Here we take a look at why these communication facilities are such an important element of process control. Modern process controllers need not only to accurately control industrial processes but also to communicate – either to send status and alarm messages or to receive instructions remotely. As well as enhancing control accuracy, communications help to integrate a controller into a more complex control system consisting of multiple PLCs. Comms are also increasingly important to allow remote fault diagnosis and software upgrades, giving end users faster fault resolution, while keeping down service costs for manufacturers. Status and Alarms – A key element in the control of any process is the ability to indicate when a process has started or stopped, or when specific values are at, above or below critical thresholds. This requires the PLC to have one or more outputs, which may be a visual display (ranging from a single LED to a large touchscreen HMI), auditory display (which could be a simple beep or an MP3 recording) or electronic signal. Being able to send alarm and status signals electronically can be essential in applications where a human operator may not be able to be in close proximity to the PLC unit (perhaps due to heat or toxicity, or in clean environments). It also allows signals to be sent to more than one place – for instance for data logging purposes, or to give other personnel visibility of one or more aspects of a process, such as sending some types of alarm to a supervisor. Integration – In complex serial or parallel control tasks it is useful for one PLC to be able to send a signal to another PLC to indicate when another part of the process can start or stop, or to adjust parameters. Alternatively, it may be useful to integrate the PLC with other equipment already present, such as data logging or other monitoring processes. Being able to communicate using industry standard protocols makes the job of integration much easier. Remote Diagnosis – Remote diagnosis allows faults to be assessed and resolved much more quickly – or even automatically – without the need for an engineer to visit customer premises. This means faster response times for customers and reduced service costs for manufacturers. Software Upgrades – The ability to upload new software features and bug fixes automatically to customers means that manufacturers can more easily keep their product line up to date, improving competitiveness and keeping service costs down. Innovation – One consequence of communication between PLCs is the possibility for innovation by product developers. Rather than being limited to the capabilities of one particular controller, or having to create bespoke controllers, inter-communication allows designers to integrate different process controllers – possibly different models and by different manufacturers – to achieve specific tasks. This can often result in innovative ways of configuring an application while still using standard components. 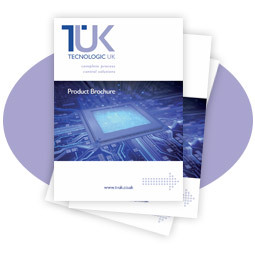 See our article Communication Protocols on the Tecnologic Process Controller Range for an overview of which protocols are supported within the Tecnologic range, what each protocol is best suited to, and on which models they can be found. If you would like to discuss which communications protocols would be best for the application you have in mind, please call our team of experts who will be happy to help you.